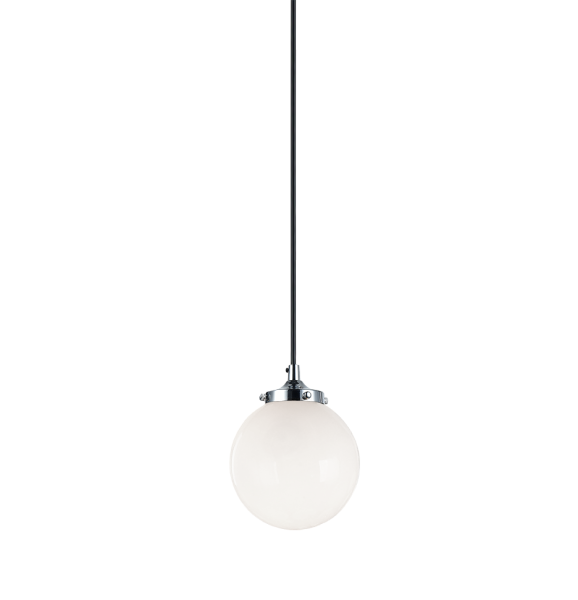 This series comes in several different models depending on the number of light bulbs.The light is designed with a candelabra based bulb covered in spherical glass with a choice of Aged Gold Brass or a Chrome finish. All sizes of this series are available with clear or opal glass. Both finishes are completed with a black fabric cord. You can hang these fixtures with different lengths of cord depending on the look you are going for.The ring that keeps the cords tight can also be removed if so desired.